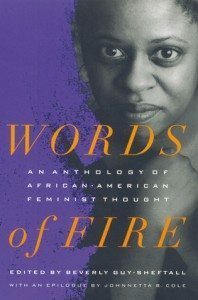 Words of Fire was my first black feminist book purchase, and it introduced me to a lot of different writers and schools of thought. Definitely a must-have and a good starting point for any young woman’s feminist book collection. Discovering the work of Octavia Butler, a hugely successful black woman writer who specializes in speculative fiction, was completely life-changing for me. Never before had I seen a woman like me as an author of the kind of fiction I liked to read. Start her off with something like Kindred and open her eyes to the world of black women-authored fantasy. The world needs more black feminist bands, and what could be better than a handy dandy guide that makes the idea of writing and performing your own music seem super accessible? I first came across this book at Five Below (for four bucks) and I’m glad I bought it on a whim because even though I’m pretty sure it’s meant for middle schoolers, I’m like 25 and it still made me want to start a band. For me, part of the process of becoming comfortable in my own skin was reclaiming my own unique beauty and having fun with how I look. There was something defiant in the act of it. Putting on red lipstick in a world that thinks you’re ugly? There’s power in that. Try to find out what kind of makeup she likes, and hair products she’s coveting (check out her Youtube hair playlists). Everyone who’s ever worn makeup tends to love MAC products but nobody loves spending 20 dollars on lipstick, so maybe start there. As for hair products, Carol’s Daughter is the brand many natural newbies start off with, so go for something basic like a detangler or a curling mousse. Word to the wise: product-heavy beauty rituals can empower, but it can also be just as empowering to choose that you don’t want to use any of them. If she’s not into makeup, don’t buy her some $40 foundation and expect a thank you. I’ve found that coming into your own as a black feminist is a process of self-discovery, so you can’t go wrong by giving her the tools to decide for herself what she wants. Bonus points if the gift cards are for businesses owned by black women. Try Etsy! As for media, go with shows and movies with strong female leads, in the genre she likes. There’s something so refreshing about seeing a black woman in a well-written leading role. For movies, go with 28 Days Later for the zombie fan, and Belle if she’s a romantic. The world of television gives you slightly more options, so check out Sleepy Hollow and Scandal. 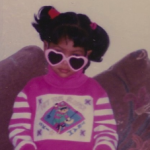 Self-care became a very large part of my black feminist awakening. Not only admitting that I couldn’t do it all, but loving myself enough to take care of my own needs, was a big deal for me. Whatever it is that keeps her feeling at peace with the world, help her get more of it. Bath salts, wine, body butter. It’s different for everyone. I think that creativity goes hand in hand with self-care, as part of acknowledging your own needs can be identifying the need to express yourself creatively. Whether it’s writing, painting, jewelry-making, gift her the tools to encourage her to pursue her creative goals. It doesn’t get much more thoughtful than that. Just here to say that Selena in 28 Days Later does not get enough love as a sci-fi action heroine and is one of the many reasons that Naomie Harris will always be a favorite. Right?? Selena was amazing, and I don’t think there’s been a character like her – badass action heroine with a love story – since. Awww, this is super sweet.